This red and black GU Patrol not only looks awesome it is very practical and has been carefully throughout to be built suiting Dave's needs for everyday use, off-road handling and camping. Not many other 4wds can match the flex of a GU Patrol with coils front and rear and I'm talking about a two inch lift here! This GU Ute has a 4 inch lift with all the extra hardware to enable every bit of potential flex possible while keeping it stable on the highway. The 35 inch rubber fit before and after the suspension upgrades. To increase the traction even more an air activated locker has been fitted to the front differential while the rear has been kept as standard Nissan LSD which Dave swears by. Dave, Brocky and the GU have joined us on some epic trips in the past year where we have all witnessed this red and black ute conquer some real tough terrain on the Murchison off-road outback tracks, crazy mud climbs in the hilly south west of Australia and the big sand dunes on the west Australian coastline, all this was before the most recent engine and suspension upgrades. So I’m in particular looking forward to seeing the GU in action again! The engine upgrades are quite impressive and keep in mind when it comes to tuning 4WD's we tune them for maximum torque and power at the lower RPM as that's where the benefit is. With Dave's upgrades to the GU Patrol the air intake has been increased from 3 inches to a 4 inch snorkel and air intake pipe and a larger air box to maximize air flow to the engine's increased boost and upgraded injector pump and injectors. This GU Patrol now pushes 285hp and 750nM torque! That's very impressive for a TD42. Turbo upgrade (can run 40psi), HPD Intercooler with fan, 12mm Injector Pump, 4’ Snorkel – air box & Intake, 3” Dump Pipe and Exhaust. 4” OME Coils, 45mm bore 9 way Adjustable Tough Dog Shocks, Superior Lower control arms, Superior Radius Arms, Adjustable Pan hard Rods. 35” Mickey Thompson MTZ’s on 17*9” Procomp Alloy Rims. Custom Steel Tray with Canvas Canopy and Tool box. 1. Murchison Off-Road Adventure W.A. 2. Yeagerup & Callcup W.A. Mate VS Mate mud run at Murchison Off-Road . Nearly going over a blind sand dune too fast at Lancelin W.A. If doing 4 inch or bigger suspension lifts make sure you fit necessary extras e.g. Extended Brake Lines, Brake Proportioning Valve, Adjustable Pan hard rods etc. Do it right the first time and spend the money once rather than twice. If modifying for power & torque make sure you have a good tuner to get your air to fuel ratios spot on/correct! *Note this advice is Dave’s opinion and may not suit your situation. Ronny and Dave's Q and A from the video episode. 1. Definitely the lift/suspension is a must for off-road & certain situations. 2. The Power upgrades for sand driving the extra torque can be extremely handy. 3. 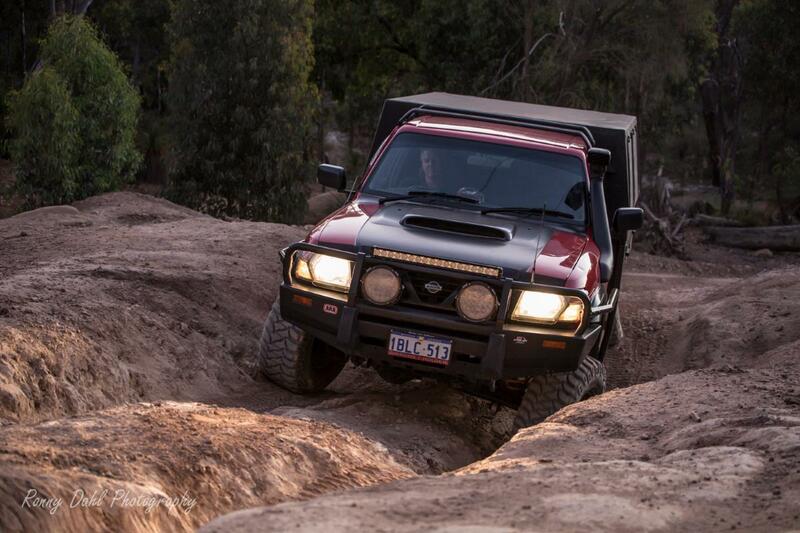 The light bars are good for night driving in the bush. A: The front air locker gets me out of sticky situations. Q: What’s the next big mod? A: Getting a winch compatible bulbar which is a must! Q: What is the most memorable trip you have done in the GU single cab so far? A: The Murchison trip we all did last year in November (2014) with the added stop to Lucky bay. Q: What did you have before the GU single cab? A: Toyota Landcruiser HDJ79 factory Turbo 6 speed, which unfortunately got stolen being a sort after vehicle. It was a great vehicle. 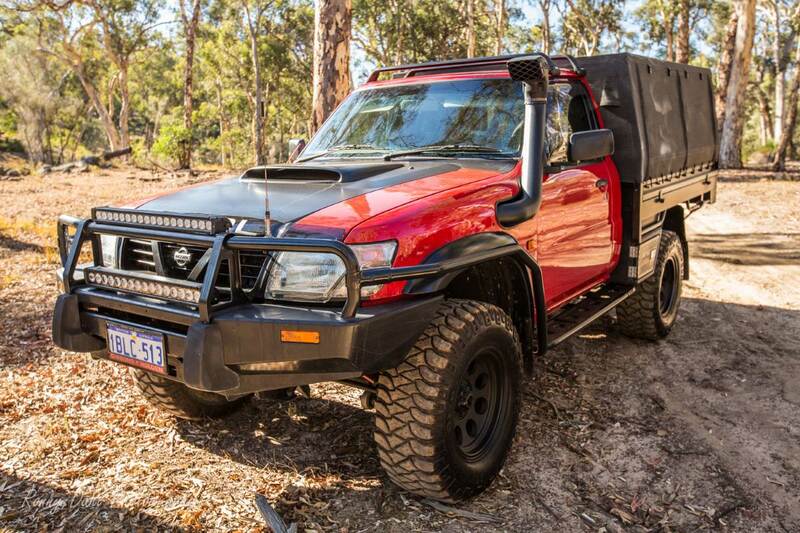 Dave took this vehicle across the Simpson Desert and Gibb River road. 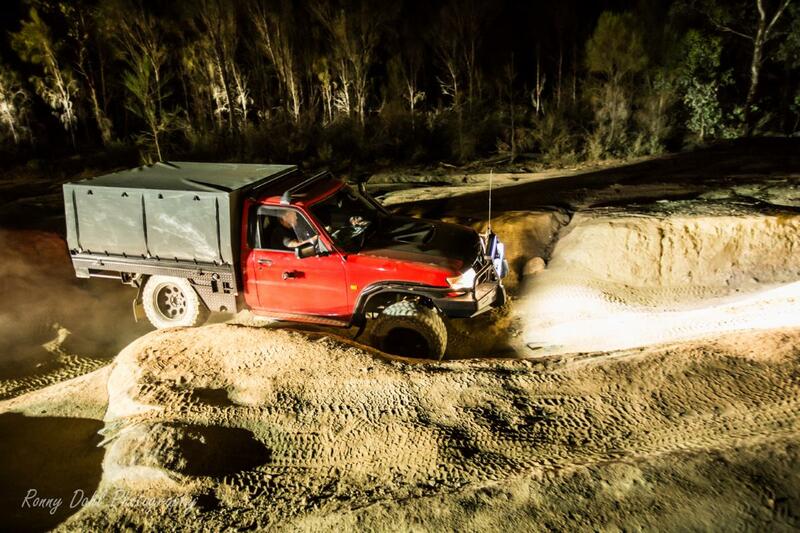 4x4 Off-Roading is Awesome At Night. 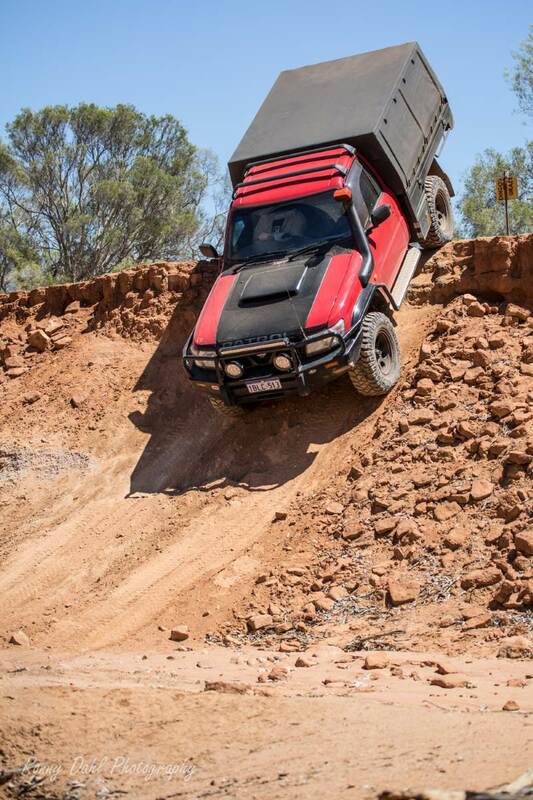 Murchison off-road adventure Australian outback 4x4 video. Lucky Bay Kalbarri 4x4 Off-road trip episode 21. 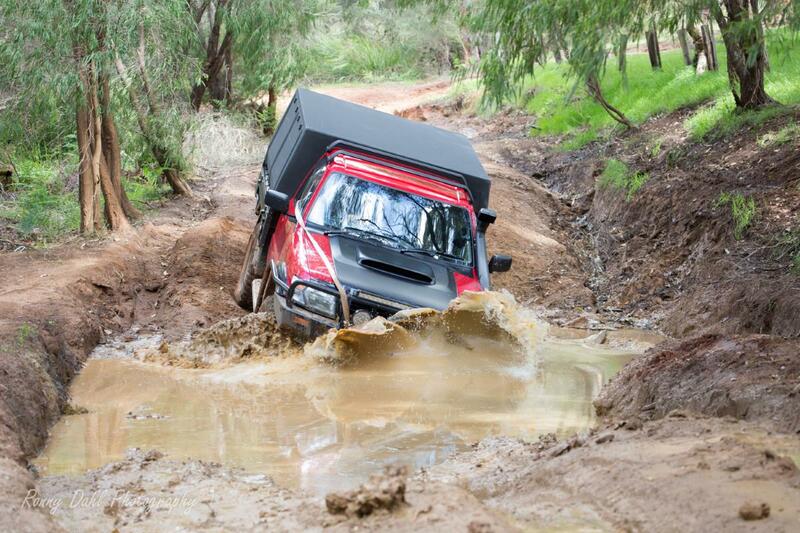 Leave GU Patrol And Go 4 Wheeling In Western Australia.